In honor of Singapore's 50th National Day, the house of Dior is celebrating SG50 with 6 exquisite limited edition engraved designs on their #1 bestselling fragrance in Singapore, Miss Dior Blooming Bouquet. 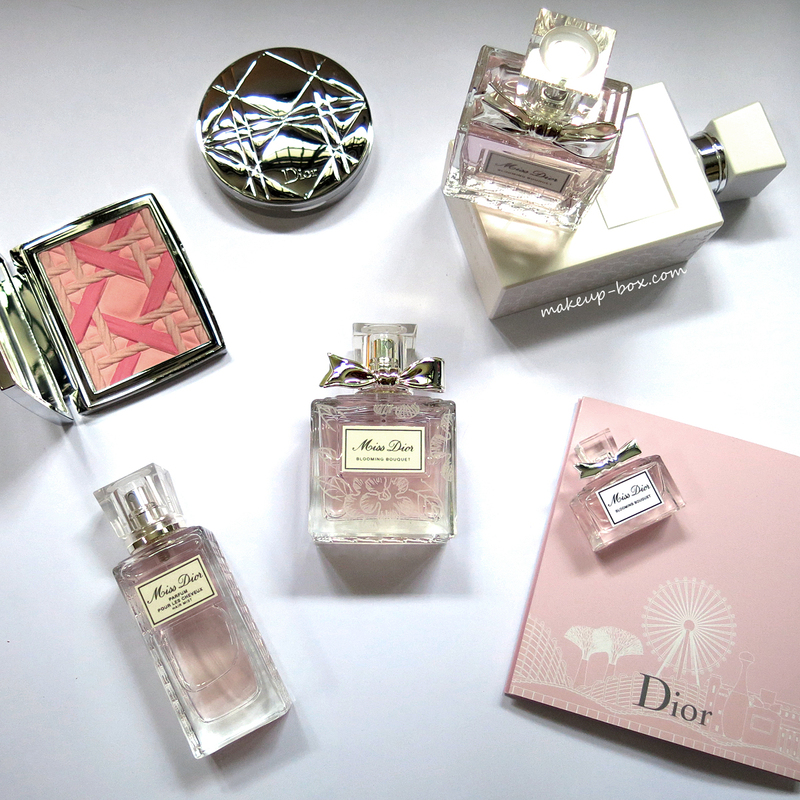 There will be 6 different designs available for sale at separate Dior beauty counters island-wide. Vanda Miss Joaquim (pictured above) features Singapore's national flower, the Vanda Miss Joaquim orchid, engraved all across the front. This design is exclusively available at Dior Robinsons The Heeren. Garden City (Dior Boutique, ION) and Flower Kingdom (Takashimaya) are two rather similar palm leave and flower designs, except the Garden City design features an orchid, and Flower Kingdom has less distinct floral patterns. I especially like Tropical Paradise (Dior Robinsons, Raffles City) which features chic fans of tropical palm/coconut leaves. Marina Bay Sands (Dior Boutique, The Shoppes at Marina Bay Sands) and The Merlion (Dior Tangs Plaza) show off cute city skylines along the base of the bottles. Dior's done a lot of glass engraving in the past year or so with their glass artist, but this series feels extra special to me. How many times do we get to celebrate our 50th year of independence? Maybe my grandchildren can pull this out one day to admire and look back, when we're celebrating our 100th National Day. Aren't they just lovely?? It's too bad these are local custom-engravings. If they would manufacture a set of limited edition bottles for sale globally I'm sure they'd be snapped up quickly! good the download now for any kind of reason. This might work vidmatedownloadz.com the ideal and most convenient way to install Vidmate Install pc or nice. PPSSPP Gold is a fantastic emulator of the Sony PlayStation Portable reassure. It bolsters the ROMs of PSP recreations (ISO, CSO, PBP, ELF records), demos and homebrews.